Summer is a great time to visit the Walt Disney World Resort. With Florida's very hot sun, frequent, but brief rain showers.and high crowd levels, you can ruin what should be a wonderful vacation at the “Happiest Place On Earth” if you don’t plan properly. The park is coolest during the morning, so take advantage of it. You can get to ride the most popular rides before the crowds settle in later in the day. Bring ponchos and/or compact umbrellas with you to the parks each day. Plan on brief rain showers to come each day, so be prepared. Having the rain gear will allow you to continue to enjoy your day instead of having to either make an unscheduled purchase at the parks or head back to the resort to change wet clothes. If you have young children, bring a portable umbrella stroller to give them a place to rest after all of that walking. These collapsible strollers are relatively inexpensive and easy to get on and off of the Disney World transportation. This also avoids the expensive rental fee for strollers rented at the parks. Bring plenty of sunscreen. The Florida sun is hot. Even if you want to get a tan, bring the sunscreen. Nothing can ruin a trip faster than a case of sun poisoning or bad sun burn. Also remember to stay hydrated on those hot days. That will keep your body functioning properly and in shape for enjoying all there is to see. Plan on taking a mid-afternoon break. When the parks are the most crowded and the sun is at its hottest, take a break back at the resort. Either take a nap or perhaps cool off in the resort pool. This will keep the stress levels low and make sure that you get a chance to relax. It is vacation you know. Return to the parks in the evening as the sun goes down. The temperature will start to drop, making it much more comfortable. Many of the attractions take on a new perspective when they are lit up at night. Also take advantage of special night time entertainment such as Fantasmic at Disney’s Hollywood Studios, “Illuminations” at Epcot, or “Wishes” at the Magic Kingdom. By following these tips you will be able to stay cool, dry, avoid the major crowds, have time to relax, and enjoy the attractions. 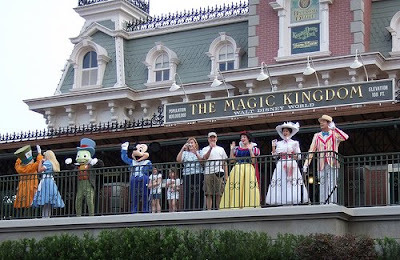 0 comments to "Tips For The Summer Vacation At The Walt Disney World Resort"